My lovely publisher gave me a little plush of Blip, the main character from my latest author-illustrator book Unplugged. 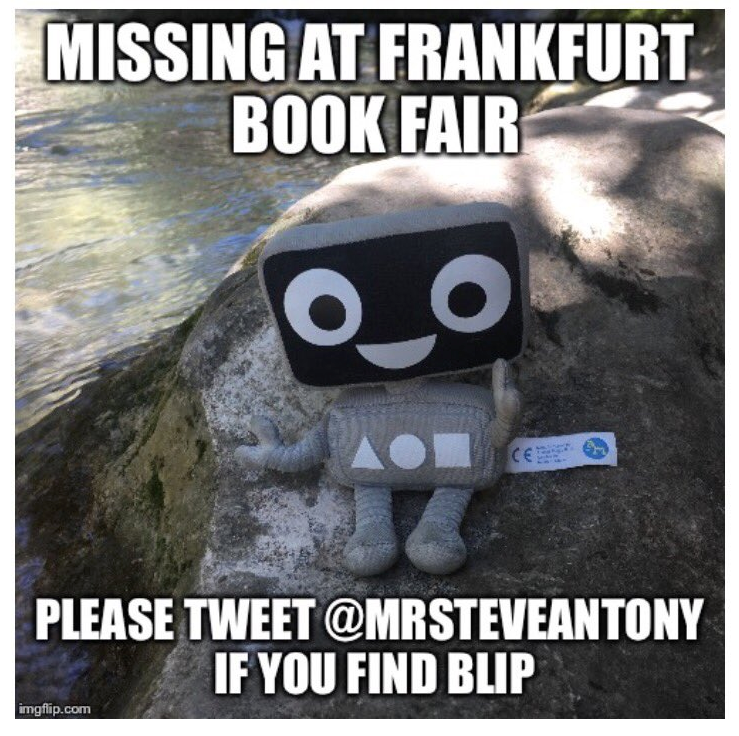 Stupidly, I thought it would be fun to get some photos of her at the Frankfurt Book Fair. She must've jumped out my pocket. This is not a PR stunt, by the way. It's always exciting (if not slightly terrifying) to discover the first review of one of my books. Thankfully, this is a great review! And I'm so pleased that Askews and Holts Library Services decided to feature it in their monthly newsletter, which goes out to all their libraries. Her name is Blip, and you'll be seeing more from her next year.